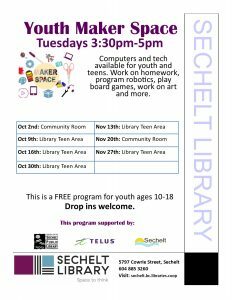 Join us at this drop-in program for youth ages 10-18. Computers, iPads, robotics and more are available for youth and teens to work on homework, socialize, play board games, work on art and more. For youth ages 10-18.